St Louis foreclosure activity during the 3rd quarter of this year was down 35.70 percent from a year ago, according to a report just released this morning from RealtyTrac. There was foreclosure activity of some kind (notice of trustee sale published, foreclosure auction or new REO property) on 3,256 properties in the St Louis metro area during 3rd quarter of this year. 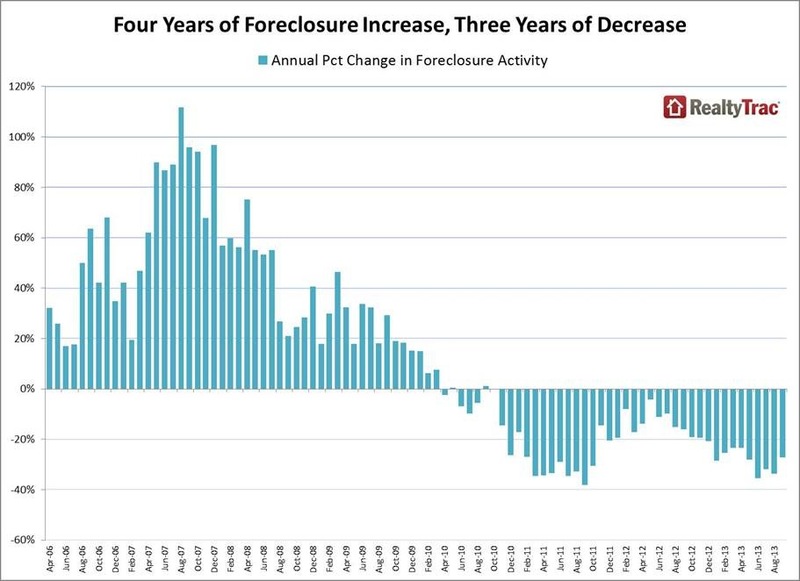 This works out to foreclosure activity on one of every 382 properties in the St Louis metro area. St Louis’ foreclosure activity rate ranks 98th of the large metro areas (200,000+ population) in the U.S.